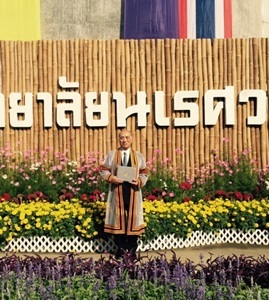 On December 20, 2015, Specially-appointed Professor Morinobu Endo of the Institute of Carbon Science and Technology, Interdisciplinary Cluster for Cutting Edge Research was awarded an honorary doctorate in engineering at Naresuan University, Thailand. The award was presented by Her Royal Highness Maha Chakri Sirindhorn. 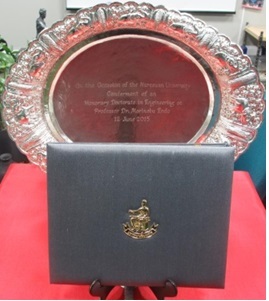 Professor Endo was selected for this honor at a committee meeting held by the university on May 25, 2015, for his lecture at a special conference held in Bangkok by the university in March of that year, as well as for his achievements in the field of carbon nanotubes.